The Gmund Savanna collection has a wood embossed finish that actually has the visual references of real wood. 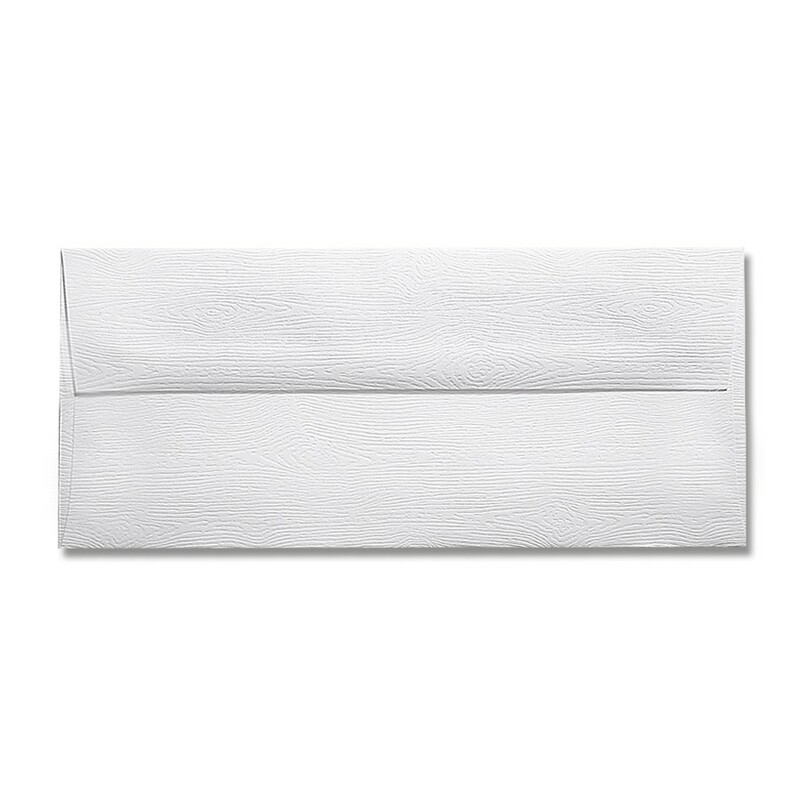 #10 Square Flap 68# text Gmund Savanna Limba envelopes can be used in a multitude of applications. Gmund Savanna is manufactured by Gmund in Germany. Gmund Savanna Limba is also acid free, lignin free, PH neutral, ECF/PCF, FSC certified and has archival properties. Gmund Savanna Limba #10 Square Flap 68# text bulk pack of 500 is a stocked product by Announcement Converters ready to ship the same day.